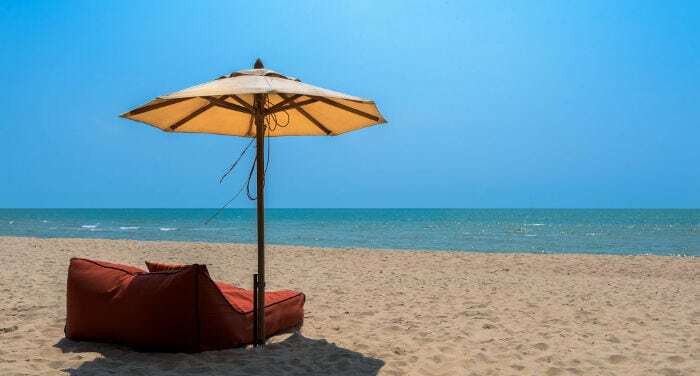 Cha Am is a beach town with a little more than 20,000 inhabitants, located in the Petchaburi region, on the west coast of the Gulf of Thailand. Being only 170 kilometers from Bangkok, it’s often the choice for many Thai families who live in the capital looking for some relaxation on the weekend. It’s not a very popular destination among tourists, like nearby Hua Hin. In town there’s barely anything besides hotels and restaurants, which along the beach are decidedly not well-maintained. Nevertheless, Cha Am does have something to offer for those looking for a less-touristy place who aren’t necessarily big fans of the beach. Among the alternative activities you can find there’s: Santorini Park (a themed artificial village), Kaeng Krachan National Park (with waterfalls where you can take a dip), and lastly a sheep-raising station called Swiss Sheep Farm. Cha Am is a very small town without an airport; the closest is in Hua Hin which is temporarily closed. You can get to Cha Am by renting a car or taxi, by train, or taking a bus or minivan. If you’re in Pattaya, you can take the Pattaya-Hua Hin ferry and from there get to Cha Am by bus or minivan.